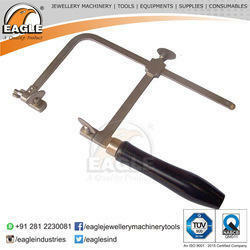 Offering you a complete choice of products which include jewellers saw frames, jewelry tool economy saw frame fixed length, jewelry making tools hand held ring saw (finger ring cutter), fixed length jewellery equipment swiss type saw frame, jewellery tools economy adjustable saw frame and jewellery tool german type adjustable saw frame. We are manufacturer of Jewelry Tool Economy Saw Frame Fixed Length. 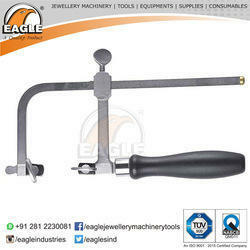 We are manufacturer of Jewelry Making Tools Hand Held Ring Saw (Finger Ring Cutter). 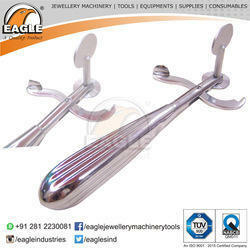 We are manufacturer of Fixed Length Jewellery Equipment Swiss Type Saw Frame. 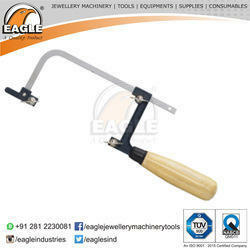 We are manufacturer of Swiss Type Adjustable Saw Frame.